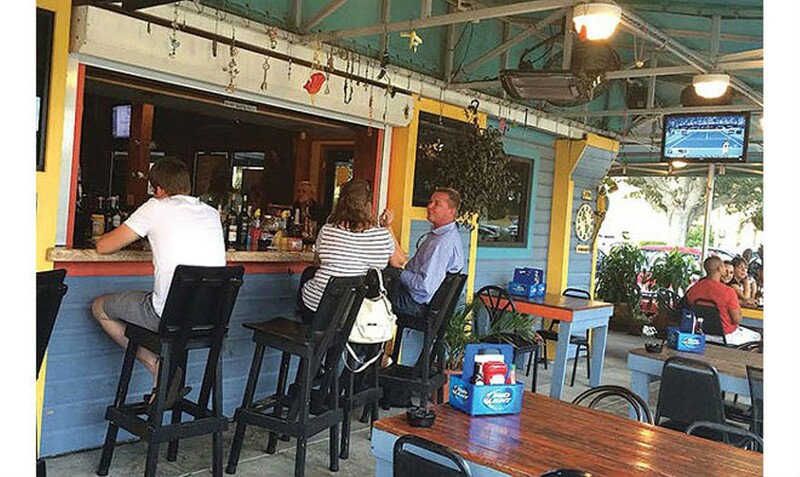 If you’re into fishing and boating around the Conway chain of lakes, you’re sure to make friends here – a lot of the patrons are Belle Isle and Conway residents who appreciate this place for its completely unpretentious, laid-back Florida fish camp kind of feel. Judging by the crowd on a recent Friday night, someone in charge at the new south Orlando Fish on Fire restaurant is paying close attention to marketing studies; though barely a month old, the place was packed. Whatever the reason, those residing in or passing through this part of town are advised to stop in. FOF is a funky blend of fish camp and roadhouse. The tap Yuengling is cold, there's a pool table and, oh yeah, the food's good too. We started with the "Okeechobee crawfish boil" ($8.95 for a pound of crawfish, corn and potatoes), which I admit was a bit unfair. Crawfish season is long over, and the only thing you get this time of year comes from a freezer, not a bayou. I've passed many a blissful eve at tables covered in newspaper, a mound of boiled crawfish, corn and potatoes heaped in the middle, so I know good crawfish when I taste it. This was not good crawfish. Fresh and spicy is the only way to eat mud bugs. (Dump 'em in the pot live for best results.) These were neither. Fortune brightened considerably, however, when the entrees came out. Mine was a barbecue sampler of chicken, pulled pork and pork ribs ($9.95) that was as lip-smacking as it was filling. The chicken, a leg and a thigh, was smoky and fall-off-the-bone tender, almost blackened, easy on the sauce; which is to say, perfect. The ribs were just as black, just as easy on the sauce (which had a nice bite to it) and just as satisfying. I was less enthused about the pulled pork as it had an off-putting sweetness that, in my humble opinion, has no place in barbecue. It was strange to find such good barbecue at a fish place, but then again this really isn't just a fish place. This is a "Florida style smokehouse and grill," according to the menu. You can get a fried bologna sandwich with cheese and tomato ($4.50) for lunch. I rest my case. Nonetheless, it was my duty to try the fish at Fish on Fire and try I did, via the fried catfish special ($11.95 for three whole catfish, fries and coleslaw). The fish came out lightly breaded in a batter of nothing more than salt, pepper and flour, fried to a crisp golden brown. I simply picked up the fish by the tail, ran a fork down the length of it and peeled off moist slabs of delicate fish that were almost boneless. It was that batter  so simple, yet so well done  that really made these cats sing. Someone in the kitchen knows how to cook a catfish. When dining at a Florida fish house, it is also my duty to try the Key lime pie. Here again, this is a little unfair. You see, once upon a time I spent a glorious October day hiking in the knee-deep muck of the Big Cypress National Preserve, wherein I came upon a Key lime tree tucked so far away from civilization that its fruit simply fell to the ground and rotted. Being a lime aficionado, I stuffed a rucksack and my pockets full of the tiny jewels, marched out of the swamp and made a pie so delicious it is, to this date, spoken of in reverential tones in my household. It was the quintessential Key lime pie. None shall ever equal it. That said, the slice I had at FOF was badass  tart and smooth. Somebody knows how to make (or where to buy) a tasty Key lime pie. Service was slow and disorganized on the night we went  the appetizer came out at the same time as the entree, three Yuenglings after we ordered  but I have to attribute that to the early success of the place. It will come together. And even if it doesn't, FOF is not a bad place to spend a night in south Orlando. They promised to have fresh crawfish when they're in season. I'll check back to make sure they do. we coat top of the line yellow fin tuna with black and white sesame seeds and sear it rare. served with sesame soy sauce and spiced wasabi. nobody does it better. mom's favorite. made the old world way with lots of feta cheese, red onions, tomato, pepperoncini, cucumbers, calamata olives and a blend of lemon juice, olive oil and mediterranean herbs. marinated in caribbean jerk seasoning topping with sauteed onions, mushrooms and melted provolone cheese.